Government must be circumspect about Cauvery dispute resolution mechanism. The government has been wise in not pressing the panic button on the Cauvery. In fact, the concept of a Cauvery Board is a flawed one. Lawyers normally have a limited understanding of water issues. We have a lot of experience in India of tribunals delaying projects for decades. Some experts have suggested highly centralised systems of dispute resolution and decision making. I don’t have any “in principle” stand on centralisation versus decentralisation in dispute resolution on water. However, our experience in the Narmada and many other disputes have suggested that tribunals delay matters in a big way. My friend Nilanjan Ghosh said in a discussion on the persistent Cauvery problem that I favoured a decentralised approach towards a resolution by vesting more powers lower down. He described the history of the dispute and correctly stated the principles of water-sharing, now established in the Dublin Protocol. This system worked in the Mekong valley where nations at war were able to share water and provide for minimal flows in the post-monsoon period in the Tonle Sap. Also, upstream arrangements were suitably modified, including the scaling down of dams. This meant major changes in master plans as designed by the great Indian irrigation engineer, Kanwar Sain. Sain, after the Mekong, worked on the Rajasthan Canal Project. This Mekong experience-based system worked for many years with the Cauvery. The disputes were sorted out either by the irrigation engineers or by the state-level officials. In rare cases, it went to the CMs and PM level, where it was solved. This did not mean that everything was hunky dory. In water disputes in a resource-strained system, the best we can expect is that everybody will be roughly equally unhappy. This year, the second level has taken the call, but the disputes remain. Tamil Nadu and Karnataka then wanted the highest political levels — the state level and central political leadership — to resolve the issue. However, the Central government is not taking the call. Interestingly, nobody is talking about the complexity of the problem. When we look at farmers and rivers and irrigation, it is the North Indian problematic which dominates our mindset. 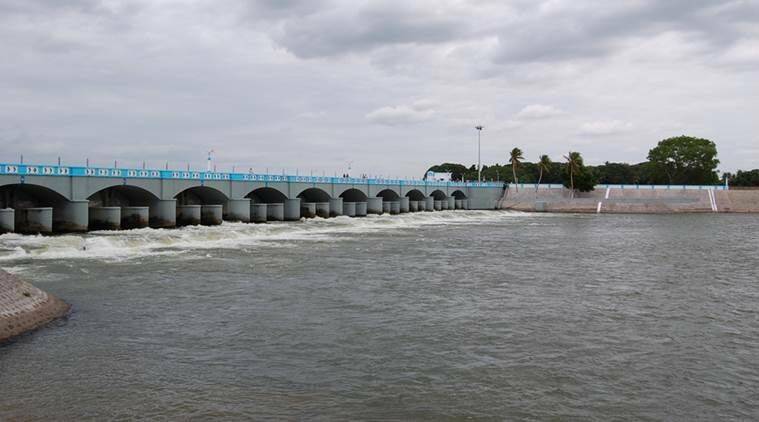 The Cauvery flows through a different world and different worlds within its world. In the north, in the garden areas of the Coorg from where it originates you have, for example, plantation agriculture. We must be the only country where plantations can be just a few acres. I am not demeaning them. In fact, eating Mysore Pak and drinking fresh coffee in the highlands of Coorg is one of my ideas of heaven. But the Karnataka government did well to give a loan waiver to such agriculturists a few years ago, even if it was up to Rs 50,000. If you have not built up the markets in the highlands and if the Bharat sarkar’s e-markets are not working because price data is not there, then the loan waiver was justified. Though as a professional economist, I know that it chokes the credit line. It is what one would call the second-best measure. Now, of course, all political parties are offering huge loan waivers and we have to wait for the election results to see what will happen. In the Cauvery delta in Tamil Nadu, there is another world. You grow rice there. When the rains fail, since you have ignored the advice of the Tamil Nadu Agricultural University and not diversified from paddy, you go to the great temples of the delta and the church and pray for help. So we go to the only Church in the world where lakhs of farmers, often women, pray for water. Then sometimes we go to Delhi to agitate. Let’s be careful in setting up a dispute resolution mechanism. Let’s do it with love and care. When civilisations disagree, don’t be abrupt.